A small National Health Service (NHS) community pain management clinic has shown significant clinical improvements, cost effectiveness and substantial savings in a highly disabled group of patients. The key to these outcomes appears to have been the way in which patients were enabled to become active and exert their own resourcefulness through anthroposophic interventions. The contribution of anthroposophic medicine to self-management has been comprehensively outlined in its concepts, evidence and patient perspectives. This paper sets out to explain how adverse clinical and social circumstances may be overcome when the rehabilitation method engages patients’ own experiences, interpretations and initiative in a necessarily ‘bottom-up’ approach. 1 Wright E, Zarnegar R, Hermansen I, McGavin D. A clinical evaluation of a communitybased rehabilitation and social intervention programme for patients with chronic pain with associated multi-morbidity. J Pain Manage 2017;10(2):149–159. 3 Department of Health. Long Term Conditions Compendium of Information. 3rd ed. London: DOH; 2012. 10 Coulter A, Roberts S, Dixon A. Delivering better services for people with long-term conditions. London: The King’s Fund; 2013. 11 National Pain Audit of England & Wales 2010. Available at http://www.nationalpainaudit.org (28.5.2018). 12 Steiner R. Human Questions and Cosmic Answers. Ch. 3. Rudolf Steiner Archive; 1922. 13 Steiner R. The Invisible Man within Us. Mercury Press; 1923. 14 Steiner R. Course for Young Doctors. Lect. 8. Mercury Press; 1997. 15 Steiner R. The Inner Nature of Man and Our Life Between Death and Rebirth. Lect. 5. Rudolf Steiner Press; 1994. 17 Steiner R. Study of Man. Lect. 2. Rudolf Steiner Press; 1981. 18 Steiner R. Eurythmy Therapy Course. Ch. 5. Rudolf Steiner Press; 2009. 19 Steiner R. The Cosmic Word and Individual Man. Stuttgart; 1923. 20 Steiner R. Der Wert des Denkens für eine den Menschen befriedigende Erkenntnis. GA 164. 2. Aufl. 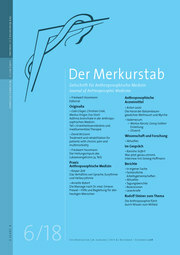 Dornach: Rudolf Steiner Verlag; 2006. 21 Vivian Gladwell. Clowning principles. Available at www.nosetonose.info/uk (17.5.2018).